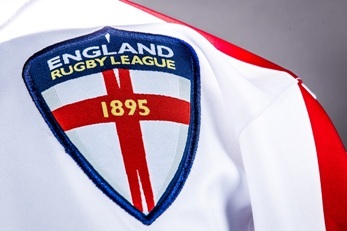 England Rugby League’s Youth and Academy squads have been named, ahead of a testing schedule in 2016. The programme for the Youth squad begins with medical screenings on Saturday January 9 for both age groups. The will then train together each month between January and October and test themselves against France in Perpignan this March. Newly appointed Youth coach Gary Chambers, a former professional player with Warrington Wolves, has previously coached England Academy, Swinton Lions, Cumbria and Warrington Wolves Under-21s. “Shane Eccles has done a fantastic job with the England Youth squad and I’m looking to come in and carry on where he left off,” said Chambers, after selecting his 26-man squad. “The Under-16 talent pool in this country is extremely healthy and we want to get these lads together on a regular basis throughout the year to spend time with one another in an international training environment. Menawhile, England Academy coach Andy Kelly has picked a 37-man squad for their 2016 schedule. The squad will undergo monthly training sessions, and play a home game against France in May, before embarking on a month-long tour of Australia in July. “A large squad was needed this year with the amount of sessions we have arranged and an important trip to Australia to take on some of the best Under-18s in the world,” said Kelly.